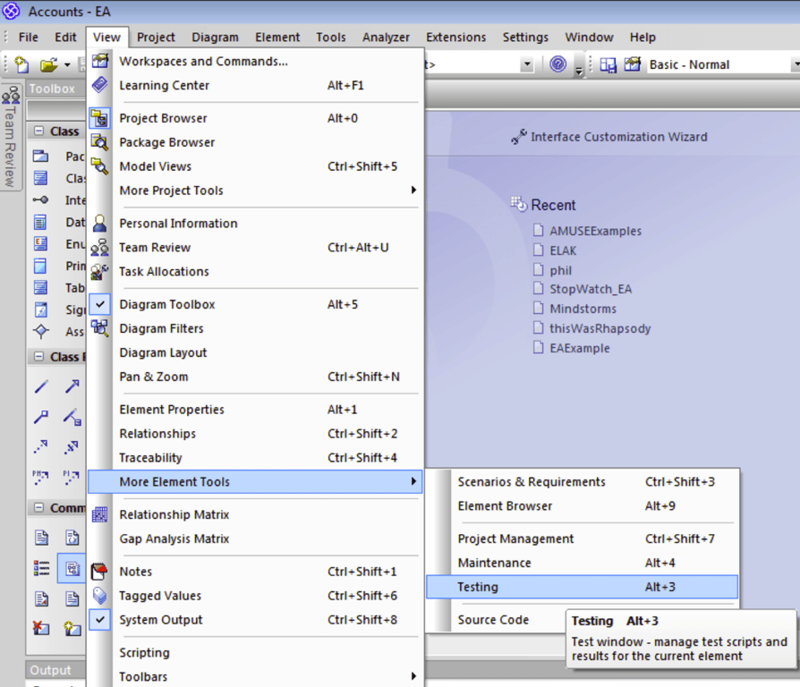 Enterprise Architect from Sparx Systems can be a real Swiss army knife for .net developers! Most of the stuff shown will also work with a Java environment. I did already a series of blog posts around this type of topics. All of them are based around EA 8. As a lot of stuff changed since EA 8, the release of EA 9.3 motivated to rework the tutorial to reflect the changes. We regularly use these techniques to find issues in large IOC (Inversion of Control) architectures. Where many modules are loaded dynamically and simple test beds like console runners and unit tests are your only chance to isolate the problematic parts in the source code. I try to offer a simple explanation and step by step tutorial – should you have feedback or additional tips and tricks I am very happy to incorporate them in this guide. You can download my sample project from here. Please note that everything is configured for specific paths. As you work with this guide it will be pretty easy for you to customize the location . If you are running a x64 operating system you need to make sure that all of your code is compiled for x86 as Enterprise Architect is an x86 application – it will not work otherwise. 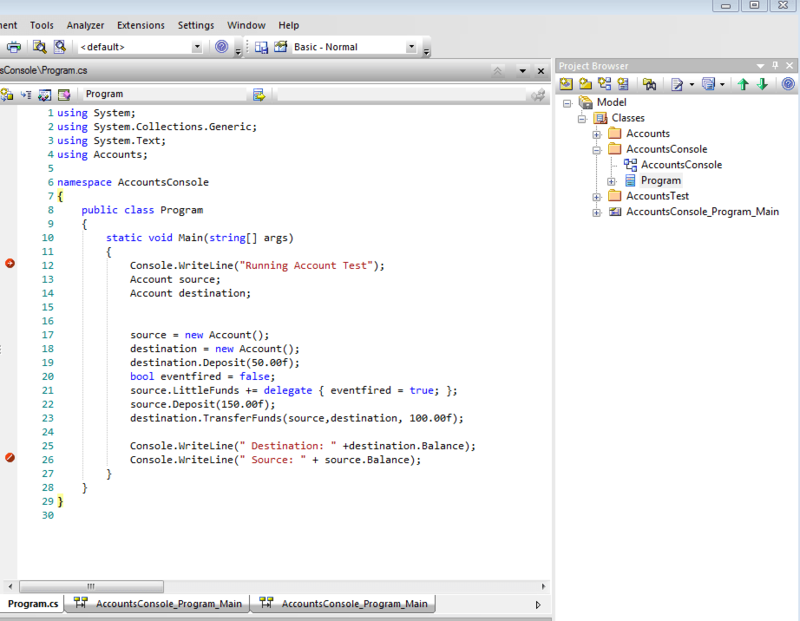 Open the Accounts.sln from C:\Source\Accounts\src\Accounts in Visual Studio 2008 and make sure you modify the solution correctly. 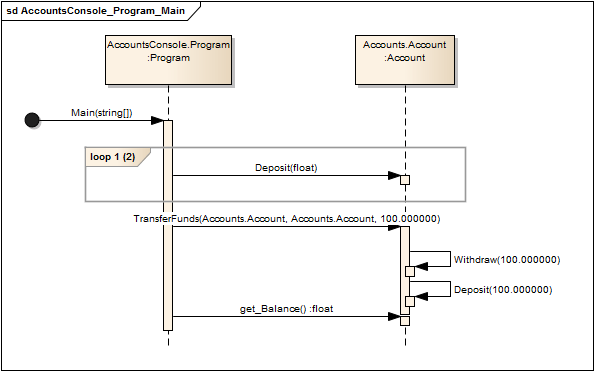 Open Enterprise Architect 9.3 and create Accounts(x).eap in C:\Source\Accounts\model folder (Accounts.eap is there for reference) – Attention file path may vary. 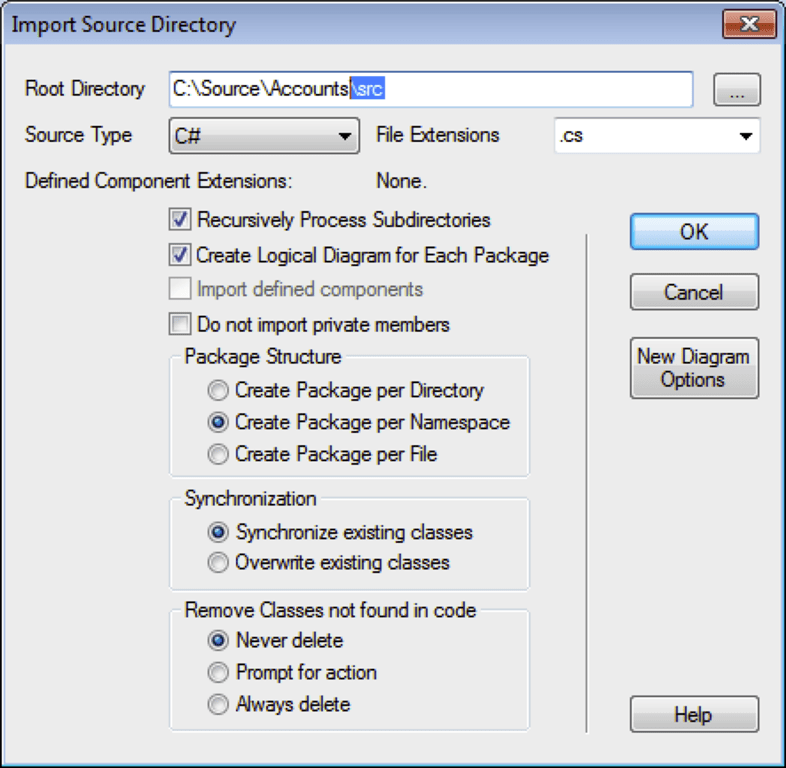 Create a Package – and choose “Import Source directory…”. Choose C# and point it to the C:\Source\Accounts\src\Accounts directory! 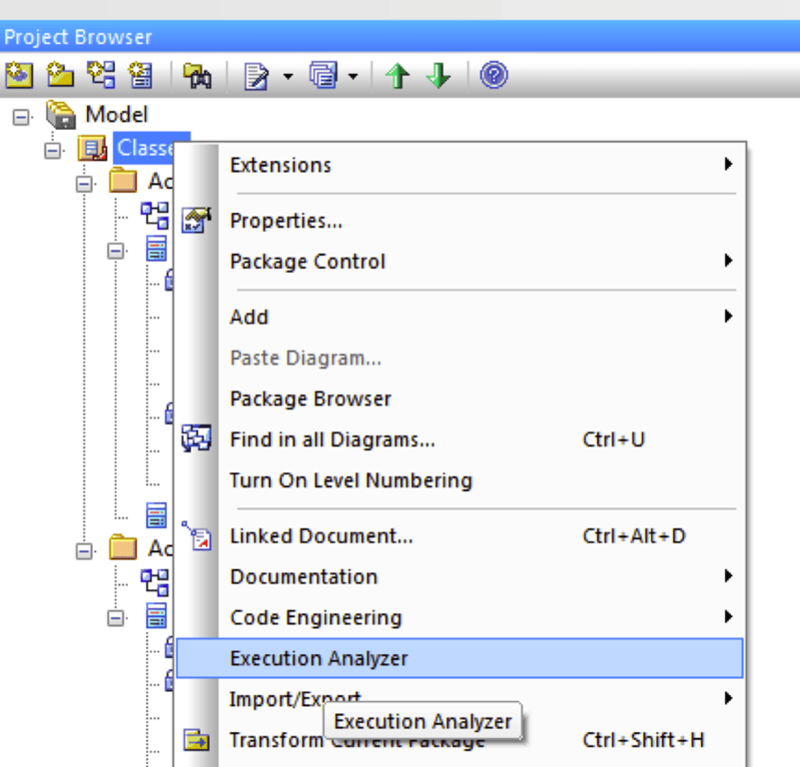 Click on the before created Package (here “Classes”) and choose Execution Analyzer. The following message should show up – just click “Yes”. 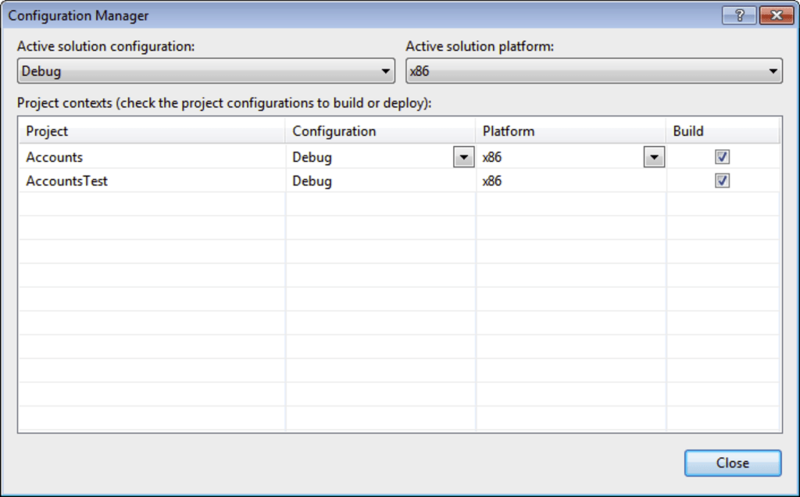 Now we need to configure the build to work from inside Enterprise Architect. 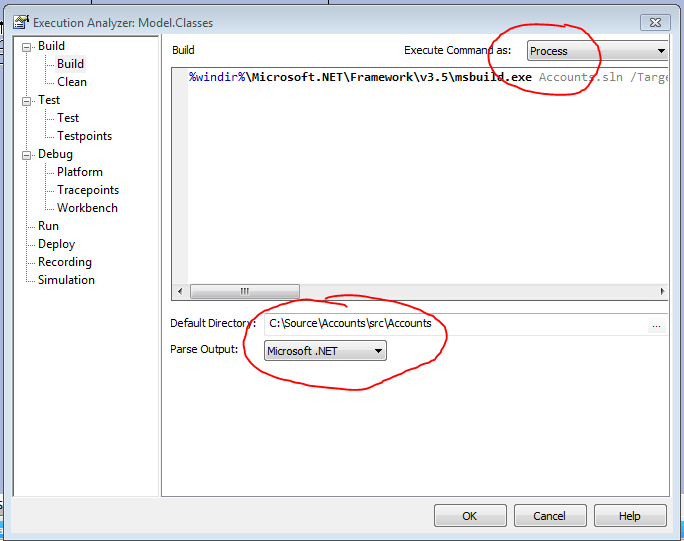 Change the setting on top to “Process” and specify the DefaultDirectory to your /src/Accounts folder and choose parse output to .net – That’s it. 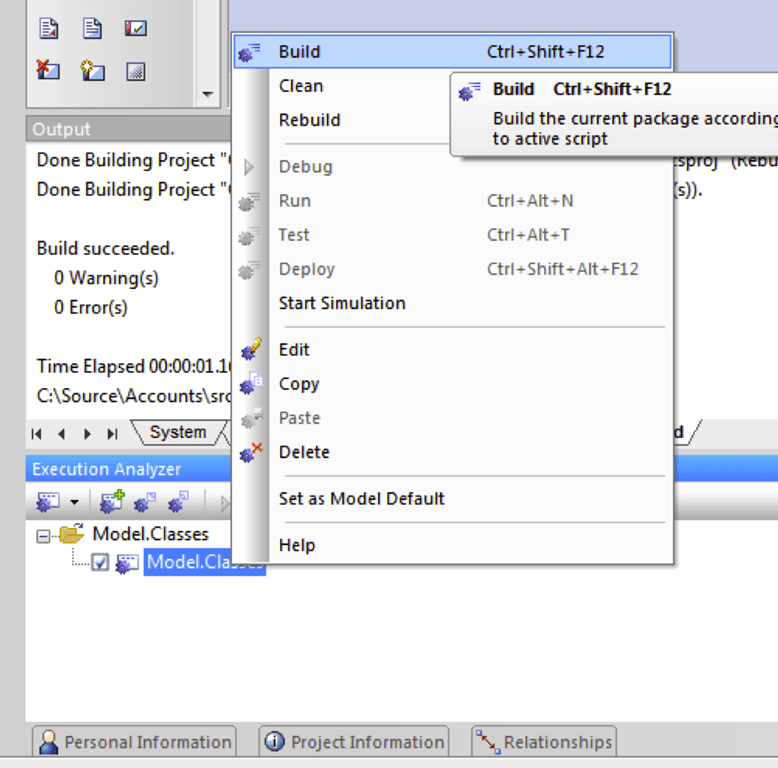 Right click on the package and choose build. 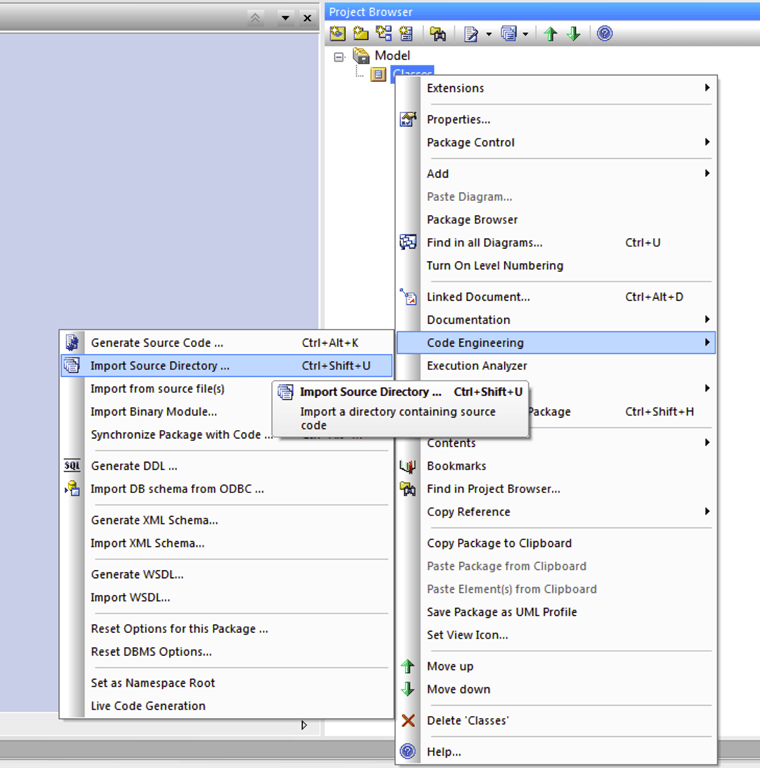 In the output window you should see something like below. You built your first code using EA! Congratulations! We need to install it because we will use the console runner. Don’t forget to specify everything as on the screenshot above! 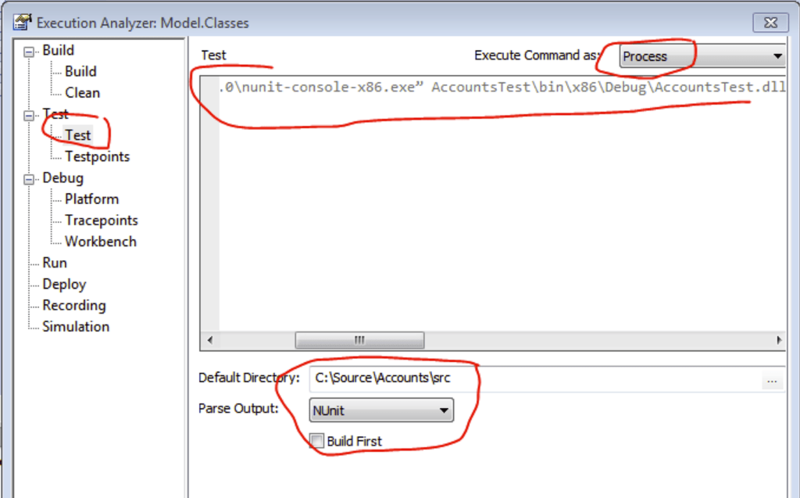 If you have troubles check your NUnit-console path. Don’t check the “BUILD FIRST” OPTION! – there seems to be a problem when this option is checked. 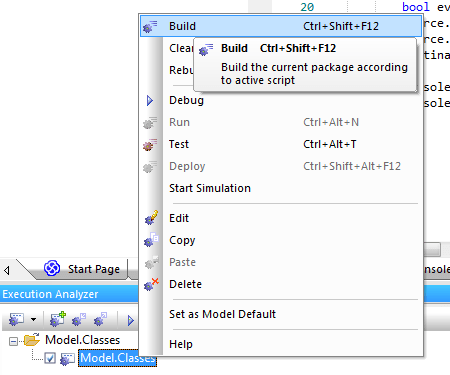 In the Execution Analyzer window right click on “Model.Classes” and run “Test”. Next you need to open the testing window! And you will see the following in the Test Window. 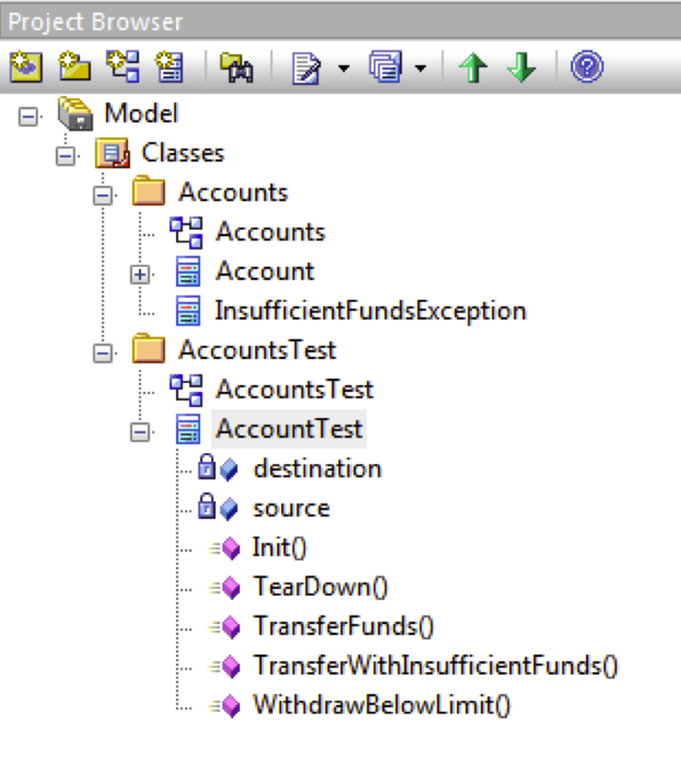 ATTENTION: As always, this type of features needs to be tested for your specific environment – nothing worth than a Unit Test integration reporting false positives! My current Setup EA 9.3 and NUNIT 2.5.7 works nicely. 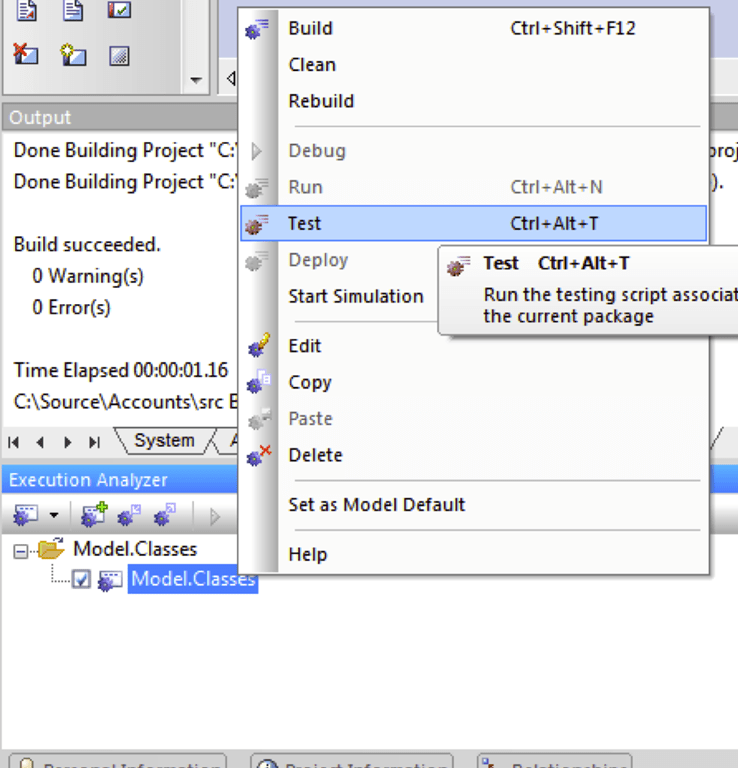 Go back to the “Testing” window with AccountTest selected in the Project Browser. ATTENTION: The TESTING Window might not been updated automatically. If so, you need to move back and open it again after running the unit tests. Ok – goal one is achieved. 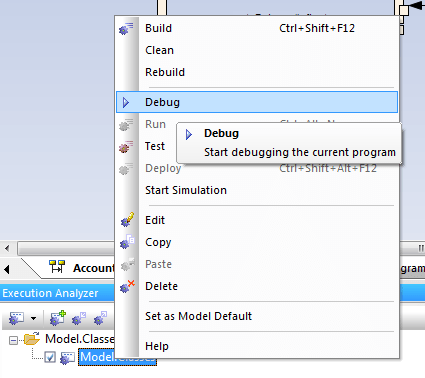 We successfully integrated unit test running capabilities into Enterprise Architect. 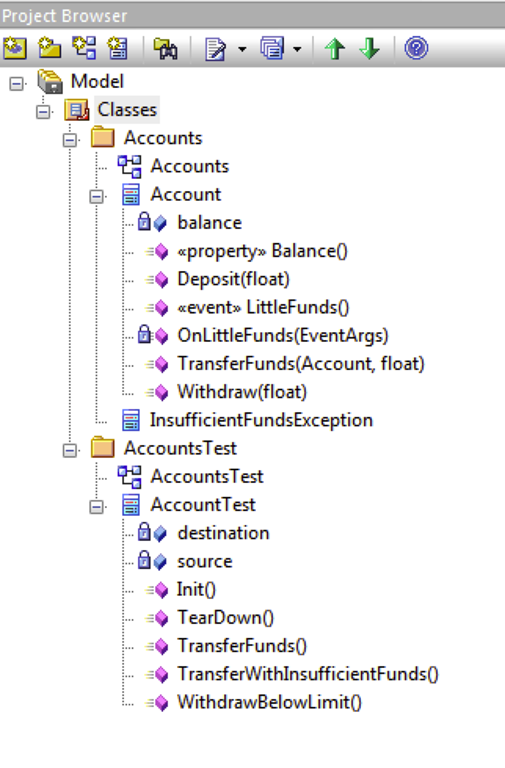 We could use the unit test for this purpose – but for simplicity and to be able to try this alone – I use the AccountsConsole program included in the sample. 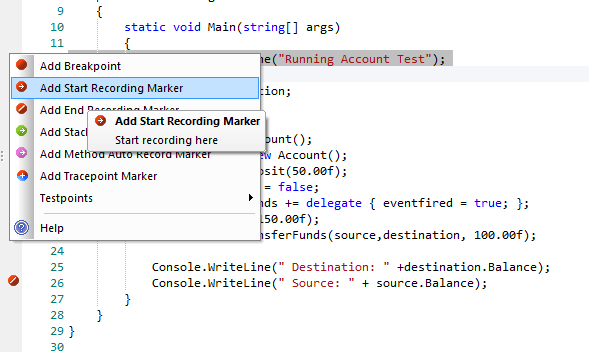 I already added a start (line 12) and end (line 26) recording marker in the source editor. 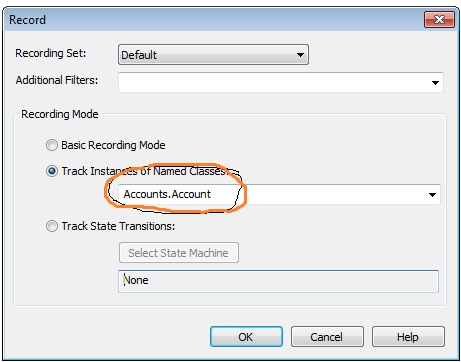 To manage markers you right click in the gray bar beside the line number and choose one or the other option. Let’s build the code once more. 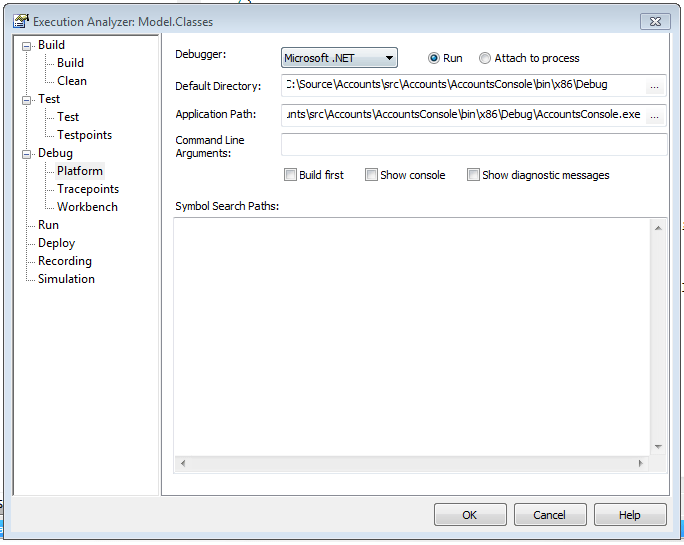 Now open the “Record and Analyze” window in Enterprise Architect. 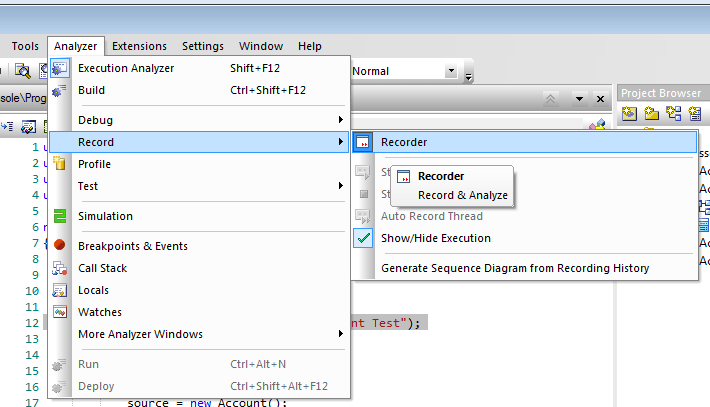 In the “Record and Analyze” toolbar hit the Recording button – now a Sequence Diagram will be recorded in the selected package. The result is a Sequence Diagram that is not perfect, because there are three swimlanes and not two. But it is easier to read than the other alternative with only one swimlane. 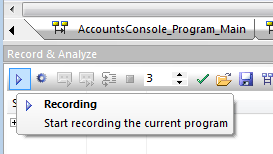 If you start recording from the execution analyzer window with the debug command you still get the older viewer with only one swimlane not taking account any instances. So still not perfect, but one can clearly see that a lot happened and that Enterprise Architect has been and will be improved in this area. 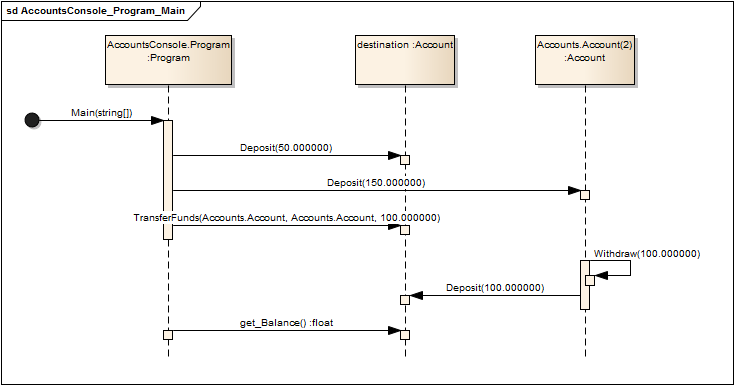 We are trying to get running the sequence diagram recording with an NUnit-project. But we are not very successful doing so. Do you have a tutorial or any hints for us? I followed above steps, partially successful, I am stuck at sequence diagram.